The 3M Littmann® Classic II S.E. Stethoscope has two headsets, which allow instructor and student to perform simultaneous auscultation. 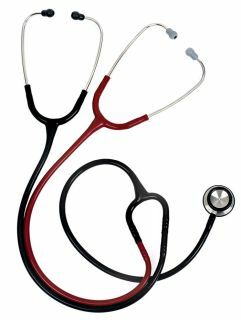 The Master Classic II stethoscope features one black and one burgundy tube and has a single-sided chestpiece with the tunable diaphragm.